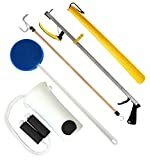 Take A Hike: Easily find hiking trails near where you are right now or at your favorite national park. 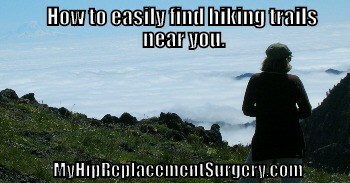 Now that you have a new hip, you can hike again… yea! It actually works better than Google because it use your actual location. 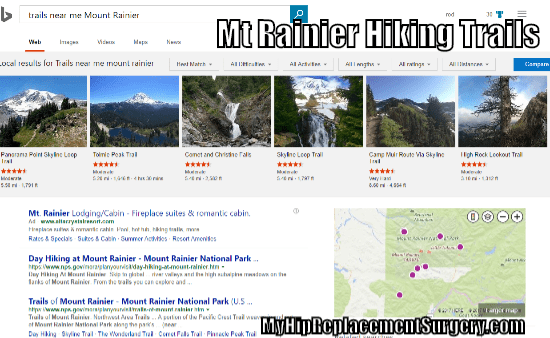 How To Search For Hiking Trails Using Bing: There are two ways you will probably conduct your hiking search. I have included a few of my favorite national parks as as example. On the first example, I share a screen shot of what you will see with your search.